Happy Friday all! This week has felt very long, so I’m pretty grateful for a weekend, even if it will be filled with essay writing and midterm studying. While I always try to style new pieces and new outfits for you all, it’s been pretty much impossible to keep this jacket out of pictures lately. I wear it way more than is probably socially appropriate (aka everyday), and it works perfectly on top of my easy fall look of jeans, booties, and a striped tee. No exaggeration, I probably wear some version of this look at least twice a week. Classics like these jeans, jacket and booties are ones worth splurging a little on, because when it comes down to it you’ll wear your them to death meaning cheap options are going to fall apart just too fast. Luckily, you can also save while splurging with the Shopbop Sale this week. When you spend up to $500 you get 25% off and then over that you get 30% off. It’s truly a great deal, especially since some of these pieces are never on sale! 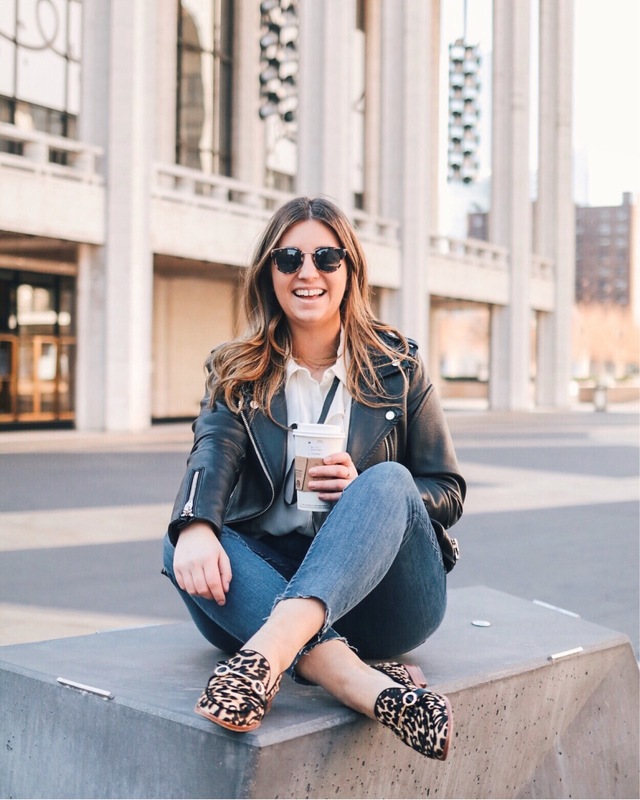 Below are a few of my favorites from the Shopbop sale, including my jacket on sale for $50 off! This similar option is also a great deal for under $80! Don’t forget the sale ends TONIGHT, so shop now before you’re wishing you had.